It’s almost October! That means Freeform’s 31 nights of Halloween movie marathon, Universal Studios | Orlando Halloween Horror Nights, candy for the kids and adults, costumes, pumpkins galore and so much more! We can’t forget to mention haunted houses, which make October all the more fun - for those who liked to be scared that is. 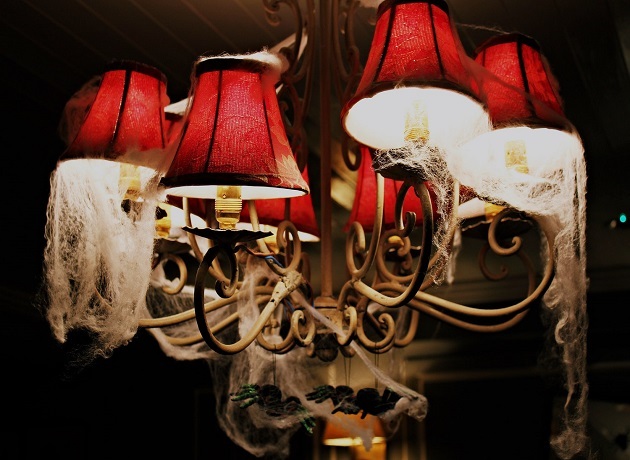 Here’s a list of haunted houses in Tampa Bay that are not for the faint of heart! 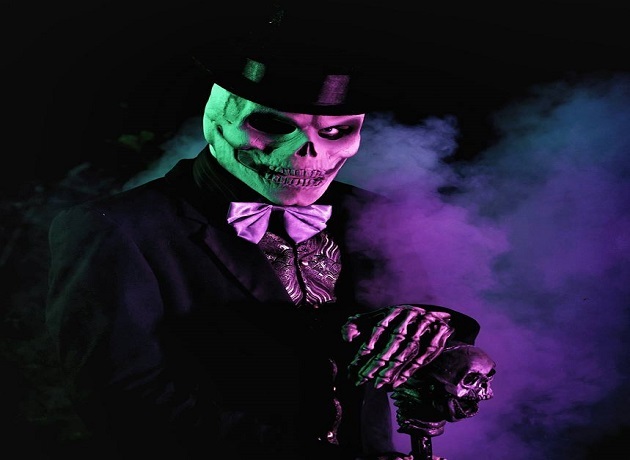 Halloween returns to Zoo Tampa this October with Creatures of the Night. This family-friendly event is open every Friday and Saturday from Oct. 5-27. Enjoy Halloween events and activities until 10 p.m. There are no haunted houses, but a new scare zone will premiere, the Whispering Woods, a forest with a thirst for souls. Head to Wallaroo Station’s Fall Festival including a pumpkin patch, friendly farm animals and trick-or-treating. Enjoy “Beast Burgers” and pumpkin spice treats during special shows and see the nocturnal animals at their most active hours. Parking is free but will fill up fast, so come out early. The event is included with admission or with an after 4 p.m. ticket for $24.95. Every year The Angelus House in Pasco County transforms its grounds into a haunted house extravaganza. The haunted house will be open Oct. 25-31 and will have new activities every night. Come see Amber and her Angelus House fire and lights dancers or listen to reggae music. Enjoy the scares at the world’s largest fully handicapped accessible haunted house. Unlimited tickets are $35 for adults and $20 for children. 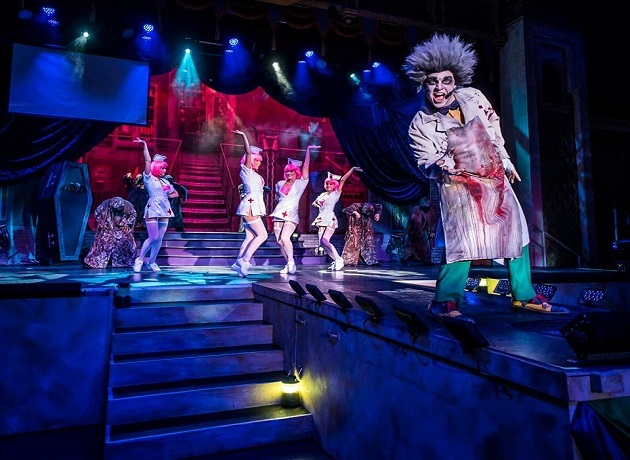 Get ready for even more screams this year at Howl-O-Scream. With tons of old favorites and plenty of new scares, get out to Busch Gardens for your haunted Halloween fill. Experience new Haunted Houses like Insomnia, an asylum full of your worst fears, or Simon’s Slaughterhouse recommended for ages 17 and up, because you’ll be forced to play Simon’s twisted game. In the scare zones, try the new Manic Midway, full or bloodthirsty clowns, or Hell on Wheels, where a motorcycle gang runs this apocalyptic arena. For less intense scares, try the new Día de los Muertos, a spooky festival including a parade. You can’t miss roller-coasters at a theme park, and during Howl-o-Scream your favorite rides will be running all night, with a few extra nightmarish passengers on board. Howl-O-Scream is open select nights from Sept. 21 – Oct. 28 and tickets are separate, starting at $40 for a single night. Tampa’s scariest haunted house is coming back to Ybor this October. On the isolated streets of “Thrill Kill” criminals, killers and psychopaths lie in wait to terrify you. Murder House will be open Fridays and Saturdays in October and the whole last week of the month. All proceeds go to support Big Cat Rescue, a local animal sanctuary dedicated to rescuing and housing exotic felines. They accept extra donations in the form of cash and PayPal. Must be 18 or older to enter unless accompanied by an adult. Ranking three this year on USA’s Best Haunted Houses, Scream-A-Geddon in Dade City is ready to scare like never before. The new Rage 3D threatens to steal your sanity, with twisting, rotating rooms, walls that move and creatures, figures and clowns blending into the environment around you. To prove just how scary they are, Scream-A-Geddon has created an attraction so intense, it requires a sperate ticket. This is Zombie Paintball Assault, where you’ll hop onto a zombie assault vehicle and paintball the undead until they’re full-dead. 100 paintball package is $10, 200 is $15 and 300 is $20. When you need a breather from all the scaring, head to the Monster Midway, to enjoy craft beer and wine, your favorite grilled, fried and cooked foods, a gift shop, photo spots and caricature drawings. Scream-A-Geddon is open Sept. 21-30 on weekends, every day in October, and Nov. 1-3 from 7:30 p.m. on. Tickets are available online and are five dollars more at the box office, prices vary by date but tickets start at $20. Sir Henry’s Haunted Trail in Plant City offers three ways to experience Halloween: haunted trails, laser tag, and an escape game. The third trail, Twisted Souls, has been expanded and still features Ominous Descent, who Sir Henry’s partnered with after they suffered losses during Hurricane Irma. The laser tag and escape game are new this year, providing for even more fun. On Oct. 20, 21, 27 and 28 you’ll be able to experience the trial during the day with kids for the first time, children for $5 and adults for free. There will be a scavenger hunt, arts and crafts, face painting, games and the laser tag and escape game will be open. However, normal operations may not be suitable for children under 12. Sir Henry’s will be open Fridays and Saturdays in October and on Sunday the 21 and 28. General admission tickets are $30 while VIP is $45. The laser tag and escape game are $5 extra and a season pass is available at the gate for $70. Looking for other things to do to get into the spooky holiday spirit? Check out the Best Pumpkin Patches, Fall Festivals, Hay Rides and Corn Mazes in Tampa Bay for The Kid in All of Us. Register at 813area to stay connected to all the Halloween things to do, it's free!